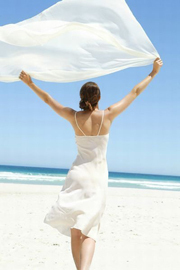 • Why choose a Ductless Mini Split Air Conditioner? A Ductless Mini Split Air Conditioner is a cost effective alternative to central Air conditioning. While slightly more than the typically wall or window Air Conditioner, the minor additional cost is easily and quickly recouped in energy savings and home security. Since the compressor sits on the outside, the Ductless Mini Split Air Conditioner is very quiet and efficient. Also, since Ductless Mini Split Air Conditioners have no ducts; they avoid the energy losses associated with the ductwork of central forced Air systems. Duct losses can account for more than 30% of energy consumption for space conditioning, especially if the ducts are in unconditioned spaces such as an attic. • Are there additional benefits? Ductless Mini Split Air Conditioners are much easier to install than other types of Air conditioning systems. For example, the hook-up between the outdoor and indoor units generally requires only a three inch hole through a wall for the connecting pipe and electrical wires. Also, all Ductless Mini Split Air Conditioners come complete with a nearly 24.6 foot (7.5 meters) length of connecting pipes. This way, you can locate the outdoor unit as far away as 24.6 feet from the indoor evaporator, allowing for cooling rooms on the front side of a building or house with the compressor in a more inconspicuous place of the building. Additionally, you can also purchase and install an Outside Compressor using our Wall Brackets, instead of the traditional ground installation at a minor additional cost. In comparison to other systems, Ductless Mini Split Air Conditioner offer more flexibility in interior design options. The indoor Air handlers can be mounted flush into a drop ceiling, or hung on a wall. All indoor units have profiles of about eight inches deep and come standard with sleek, high tech jackets. All offer a remote control to easily turn the Ductless Mini Split Air Conditioner on and off when it's positioned high on a wall. • What are Ductless Mini Split Air Conditioners? Like central Air conditioning units, Ductless Mini Split Air Conditioners have two main components: an outdoor unit or compressor/condenser, and an indoor unit or evaporator/Air-handling unit. The two units are connected by the power cables, refrigerant tubing, suction tubing, and a condensate drain. These connecting pipes link the outdoor and indoor units through a small hole that is drilled in the wall of the building. The advantages of Ductless Mini Split Air Conditioner are their small size and flexibility for zoning, heating, or cooling to individual rooms. We also carry dual zone Ductless Mini Split Air Conditioners that can have two indoor, Air handling, units connected to one outdoor unit. Since each of the Ductless Mini Split Air Conditioner zones or rooms will have an individual thermostat, only that area where someone is present needs to be conditioned, saving additional energy and money for you the consumer. • How does a Ductless Mini Split Air Conditioner work? • Is this something that I could install myself? YES. Most people do the handyman work on the Ductless Mini Split Air Conditioner’s indoor and outdoor unit pieces and pay a small amount to an electrician to hard wire the outdoor unit. However, we recommend having it installed by an HVAC professional. Any of your local professional Air conditioning company should be able to install it easily for couple of hundred dollars. It is worth spending this money initially, this way you can have it installed professionally and enjoy the benefits of energy efficient Ductless Mini Split Air Conditioner for year's to come. Once installed, our NO HASSLE warranty is the most convenient it can get. FREE PARTS for first year, Five Years on the Compressor. UNLIKE the competitors you WILL NOT lose your warranty if you choose to install the unit yourself. For example, our Ductless Mini Split Air Conditioner uses a high quality compressor and environmentally friendly “green” refrigerant to cool your home, and an innovative heat pump technology to keep your interiors warm in cold weather. The near silent operation is made possible by installing the compressor outside your home or office. The Air handler (indoor piece of Ductless Mini Split Air Conditioner AC unit) in your dwelling is designed for ideal climate control, allowing you to cool or heat or dehumidify your interiors. You can conveniently adjust the fan speed, Air flow direction, and oscillating louvers via remote control, or simply set the 24 hour timer for care free operation. • How much do they cost to run? Our Ductless Mini Split Air Conditioners are energy efficient units that provide localized cooling and heating for certain parts of your home or office, rather than cooling or heating other areas that are not occupied. This localized climate control enables you to reduce your energy bills. The SEER ratings we have are the best standard in industry and Ductless Mini Split Air Conditioner are the most energy efficient Air conditioning systems you can ever find. • What is the operating range of the unit? Our Ductless Mini Split Air Conditioner units can cool your room as low as 61°F and can heat your room as high 90°F. It works efficiently when the outside temperature is between 14°F and 109°F. This is standard with ALL brands. • Does Ductless Mini Split Air Conditioner have Air purification capabilities? Air filters? Our Yes. All come with a hypo-allergenic Air filters. • How noisy are the units? WHISPER QUIET OPERATION is one of the many reasons why Ductless Mini Split Air Conditioners are very popular. The indoor units are quieter than a standard domestic fan. • Why choose a Ductless Mini Split Air Conditioner? What are the advantages of ductless Split AC? • Energy efficient, save money on electric bills! • Lot cheaper than central Air Conditioner. • Long term solution, good for new additions or when replacing existing Air Conditioner. • How will a Ductless Mini Split Air Conditioner look in my home or office? Our Ductless Mini Split Air Conditioners are an amenity that has been designed to blend harmoniously with your home and office interiors. Our high performance, high quality appliances are offered in a beautiful design. Unlike through the wall and window mounted Air Conditioners, our Ductless Mini Split Air Conditioners are mounted high up on walls, not in windows, preserving your outdoor views for all to enjoy. HSPF is an acronym for Heating Seasonal Performance Factor. This factor rates the Mini Split Air Conditioners operating efficiency while in heating mode. As the HSPF increases, the unit functions at a more efficient level. New units in the United States have HSPF ratings starting from 7.0. The Ductless Mini Split Air Conditioners have at least a rating of 8.0. HSPF is calculated by knowing the total heating output in BTUs during its normal usage period for heating divided by the total electrical energy input in watt hours during the same period. • What is a Heat Pump and How Does It Work? A Heat Pump is an electrical device that takes heat from one place and transfers it to another. A heat pump transfers heat by circulating environmentally friendly refrigerant through a cycle of evaporation and condensation. A compressor then pumps the refrigerant between two heat exchange coils. In one coil the refrigerant is evaporated at low pressure and absorbs the heat from the surroundings. The refrigerant is then compressed on the way to the other coil where it condenses at high pressure. Now the heat pump releases the heat it absorbed earlier in the cycle. Our Ductless Mini Split Air Conditioners allow for reversible operation in the summer months providing cooling. 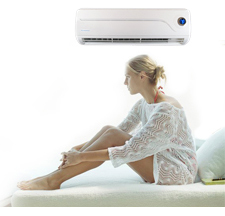 • Why Purchase A Ductless Mini Split Air Conditioner with Heat Pump? A heat pump is the most energy efficient way to heat your home. Heat pumps utilize the renewable heat sources in our surroundings in order to produce heat. The Air, ground and water provide useful heat that is warmed up by the heat pump and delivered into the home. Sources such as the Air, ground and water provide more heat than realized and the heat pump makes use of these sources that are continuously heated by the sun. • How Do You Measure A Ductless Mini Split Air Conditioner or Heat Pump's Efficiency? Our Ductless Mini Split Air Conditioners measure efficiency in both cooling and heating modes. However, the efficiency is measured in two different ways. When in cooling mode the Ductless Mini Split Air Conditioner is measured by a SEER rating or Seasonal Energy Efficiency Ratio measures the efficiency. The SEER rating is similar to gas mileage on a car. The higher the SEER rating the more efficient it is. The standard today is SEER 13. Most of our Ductless Mini Split Air Conditioners have a SEER rating above 13. When the heat pump heats the home, a Heating Seasonal Performance Factor or HSPF rates the efficiency. The HSPF rating works the same way as the SEER rating does. The higher the HSPF, the more efficient the system is. Most new units today have a HSPF rating between starting at 7.0. Our Ductless Mini Split Air Conditioner has a HSPF of 8.0. • What does SEER mean? Seasonal Energy Efficiency Ratio. It is a system for rating the efficiency of Air conditioning equipment. SEER is calculated by dividing the cooling capacity in BTU/H, of a continuously operating Air Conditioner, by the electric power input, or watts, of power consumed. The higher the SEER, the less the unit should cost to operate. R-410A is a hydro fluorocarbon (HFC), which is an environmentally friendly refrigerant that is the standard for all Ductless Mini Split Air Conditioners. Hydrochlorofluorocarbon (HCFC), known as R-22 has been used as a refrigerant for decades by HVAC manufacturers. While HCFC's are considered safe for the environment they do contain chlorine which is classed as an ozone-depleting chemical. Therefore, we are in partnership with many affiliates moving away from the future use of the more damaging R-22. • Is the refrigerant used in ductless mini split ACs safe for the environment? All Ductless Mini Split Air Conditioners with heat pump use the environmentally friendly R-410A refrigerant. This refrigerant does not deplete the ozone layer and is seen as the logical replacement for Freon R-22. Additionally, use of R-410A adds to the efficiency and reliability of the Air Conditioner and heat pump. • Are there any good reasons for replacing my existing Ductless Mini Split Air Conditioner if it's still working? You should consider replacing your system if it is old and therefore less efficient. Also consider replacing the unit if it will need major repairs in the near future. New systems can be 60% more efficient than systems built only 10 years ago. Normal wear and tear can reduce the efficiency of your system. Another costly season of utility bills or paying for an expensive failed part can go a long way toward the cost of a new system. • How do I know what to buy? Make sure the unit that you select is the correct size for your needs. Systems that are too large or too small can be inefficient. We would be happy to assist you in properly sizing the unit for your needs. • What does it mean to zone my house and why should I zone my house? A zoning system is designed to allow you to use your home as you typically use it. Maybe you're caught up in family "thermostat wars"? Or perhaps you have unoccupied areas that do not need conditioning? Our Ductless Dual Zone Mini Split Air Conditioner allows you to divide your home into separate areas, giving you the comfort and control you've always wanted. The main benefits of residential zoning are: • Comfort - Zoning meets the specific temperature and Airflow requirements of one area, without affecting other areas. • Efficiency - A properly designed zoning system can save you hundreds of dollars in energy costs each year. • Control - Zoning divides the home into different areas and comfort into different levels, giving you more choices and control than ever before. • Quiet Performance - When integrated with variable speed and/or two-stage HVAC systems, zoning allow your heating and cooling equipment to deliver peak performance and efficiency without continually operating at peak capacity. Lower speeds mean lower sound levels, and lower energy bills. • What else might be needed if I replace my old Ductless Mini Split Air Conditioner? Beside the installation of new equipment, other items need to be inspected and possibly replaced, such as, refrigerant piping, electrical service, wiring, condensate piping, insulation, slabs, filters, drain pans and evaporator coil all of which come as part of the installation package of the Ductless Mini Split Air Conditioner. • Should I change my indoor unit? When replacing a Ductless Mini Split Air Conditioner with Heat Pump the answer is yes. If only the outdoor portion is changed the efficiency of the entire system could be lowered and consequently your savings could be less. • How long should my Ductless Mini Split Air Conditioner last? With proper maintenance, industry averages suggest that a Ductless Mini Split Air Conditioner should last 12-15 years (high humidity/salt Air applications may be less than that). • How often should I change or clean my filters on my Ductless Mini Split Air Conditioner? If the filter is not disposable, follow the manufacturer’s instructions for cleaning it. For disposable filters they should be replaced to prevent equipment from working harder, resulting in energy waste and possibly causing damage to your unit. Filters should generally be replaced every month when the system is running. Filters should be replaced with the same kind and size as your original filter. Our Ductless Mini Split Air Conditioner comes with a cleanable filter. • Should I cover the outdoor unit of my Ductless Mini Split Air Conditioner in the winter? Covering the unit is not necessary. The Outdoor units of our Ductless Mini Split Air Conditioners are built to withstand a wide range of climate changes. Rain even helps keep your unit clean. Since our Ductless Mini Split Air Conditioner comes standard with Heat Pumps, the unit may run all year long, and should not be covered. © Copyright 2019. AC-World. All rights reserved. Unauthorized duplication prohibited.